Here you will find Articles, Reviews, Research and Support documantation for our website. 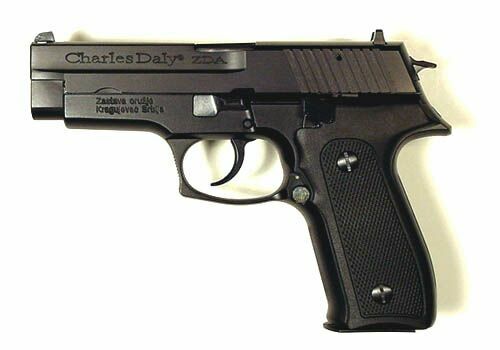 This pistol was first marketed in the US under the Charles Daly brand as the Model ZDA. Later it was picked up a by European American Armory Corp. and sold in the states under its Serbian manufacturer's name, the Zastava EZ. Zastava itself has a heritage that goes back more than 150 years, where in the town of Kragujevac, Serbia a factory then named Gunfoundry cast its first six front loading bronze cannons with the Serbian coat of arms on the barrels. The town of Kragujevac has even a longer lineage of gunsmiths and gun makers that through world wars, regime changes, crisis and revolution, have held true to a reputation of making quality weapons for military and civilian alike. They are still going strong today in Kragujevac under the name of Zastava Arms. Hard chrome plated forged barrel. Ambidextrous frame mounted decocking lever. 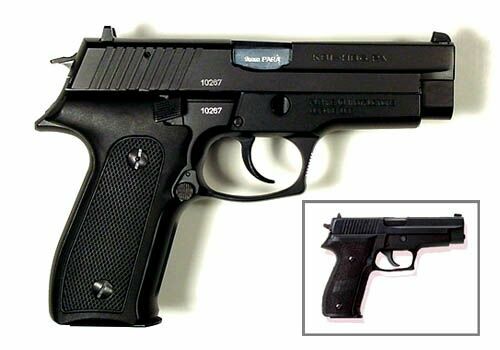 The Zastava EZ is almost completely modeled after the Sig Sauer P226. Dimensions, weight and style of the two guns are almost identical. Even the EZ's falling block barrel locking mechanism is identical to the Sig's. I must give Zastava credit though for making what appears to be a quality copy of the Sig 226, as well as adding some enhancements and interesting features to the design. First, Zastava combined the slide lock function and decock function into a single lever, and then made it ambidextrous. They also made the magazine release ambidextrous. Next, they added two new features to the design. The first is a loaded chamber indicator. The second is a unique low ammo indicator. Ambidextrous Decocking/Slide Catch lever - This enhancement reduces the clutter of the Sig design around the top of the grip by combining both functions into a single control. 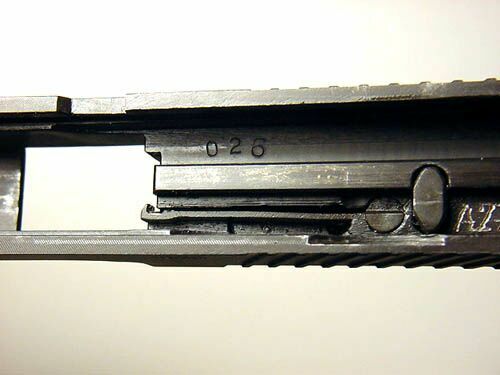 The downward travel of the lever that is required for decocking has also been reduced to about 50% less than that of the Sig 226. An additional ambidextrous lever has been added to the right side as well. 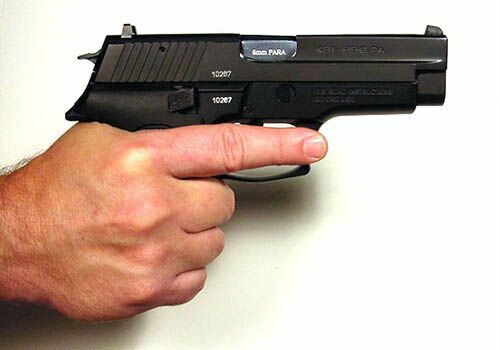 Even with the addition of the ambidextrous lever the EZ is only a hair wider than the Sig 226, but at just over 1.5 inches, some may consider it too wide for concealed carry. Loaded Chamber Indicator - Typically the loaded chamber indicator consists of a block or blade on the top of the slide that gets pushed up when a round is loaded into the chamber. It's usually a sizeable indicator that is relatively easy to see. The indicator on the new Ruger P345 for instance is big enough to even have the word "LOADED" stamped on its side. Conversely, the indicator on the EZ is much more subtle, as it is just a small pin that extrudes from the top of the slide just behind the breech when a round is chambered. The indication is so subtle that at the range I couldn't clearly discern by looking as to whether the indicator was in or out. 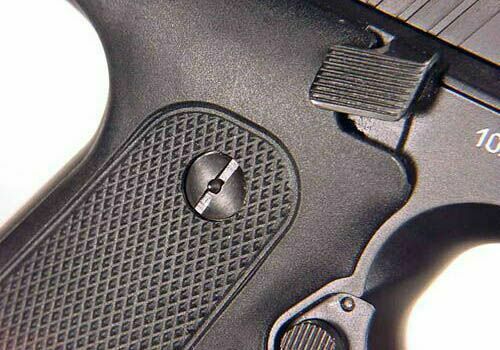 On the other hand the indicator pin can be easily felt, which is probably the best way to determine your chamber status in a tactical situation anyway. Low Shot Indicator - When I saw this advertised, I looked at all the promotional pictures I could find, trying to see where this indicator was. I couldn't see anything, and that's because the low shot indicator isn't intended to be seen. It can only be felt. And, you don't have to go looking for it. It will find you. The idea: Let the shooter know when there are only three rounds left in the magazine. 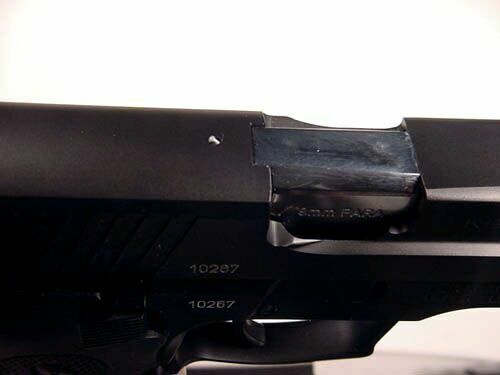 The Method: Put a special spring on the right side of the magazine follower. Cut a hole in the side of the magazine near the top such that when there are only three rounds left in the magazine, the special spring protrudes through the hole. Replace the standard screw on the upper right side grip with one that has a pin through its center. Line all of this up such that when the special follower spring protrudes through the hole in the magazine, it pushes out the little pin in the grip screw, where it pokes you in the hand. 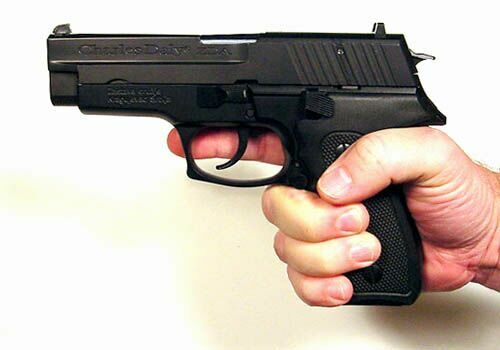 The grip screw is positioned so the pin pokes you in the base of your forefinger when holding the gun in your right hand, and in the side of your thumb when holding the gun in your left hand. If you find this feature more annoying than helpful, you can disable it by simply removing the spring from the magazine follower. Other design features include an aluminum alloy frame, serrated frontstrap and backstrap, serrated trigger and matte black anodized finish. One diversion from the original Sig design is the EZ's internal spring-leaf extractor. The 9 mm Parabellum cartridge was created in 1902 by Georg Luger, who also sired the Parabellum pistol. This is a world standard, used and manufactured nearly everywhere. Often called the "9 mm Luger", this name never was an official designation and results from a marketing ploy. The American A. F. Stoeger company was sole importer between the wars and registered the Luger name in 1923. The Luger name stuck to the 9 mm cartridge over the years and became a standard market-driven designation. The following data set is based on standard factory loaded cartridges fired from a 4" barrel, listed by weight, brand, type and muzzle velocity. This is only a very small sample of what is available. My only negative observation of the gun is that it came with only one magazine. This means that after ordering an additional magazine the gun's actual cost is $40 dollars more, as it is my personal opinion that all new guns should come with at least two magazines. Form, fit and function were otherwise excellent for this gun. The slide and barrel fit tightly to the frame with no observed rattle when shaken. The magazine had some minor play at the base of the grip, and when loaded with ammunition had a slight rattle that is commonly found in double-stack style magazines. 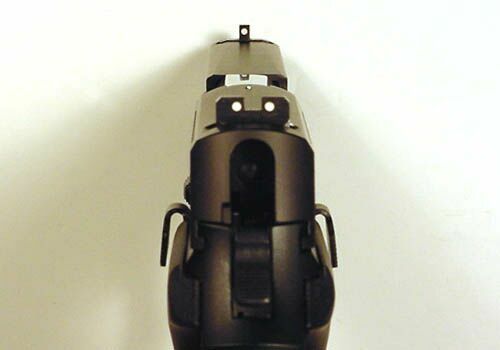 A plus-one round can be easily loaded through the open breech, but the slide needs to be released sharply to keep the loaded chamber indicator from binding against the chambered cartridge. This is common with breech blocks that have loaded chamber indicators. Double-action trigger pull is very reasonable. The hammer spur is angled for ease and comfort during manual cocking. In single-action mode the trigger has a little more than a quarter inch of take-up before reaching a crisp break. A day at the range with this gun was an an entirely pleasant experience. It fit perfectly in my hand and was well balanced. Trigger pulls were consistent and the felt recoil was minimal. But what was most pleasant was how well the gun shot. My groupings were extremely tight and consistent with both 7 yard and 25 yard sets. The Zastava EZ is a definite value. It is a well crafted gun with all the style and quality of the Sig 226 but with a price that is a good $200 less, even after purchasing that additional magazine. Import offering from Serbian gun manufacturer Zastava Arms. The EZ taken down to its field-serviceable components. 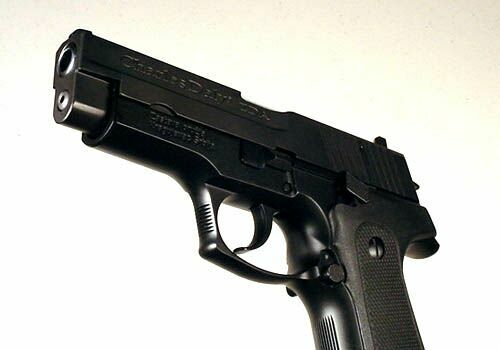 The service-sized pistol is well balanced and fits comfortably in the hand. The EZ features a hard chrome plated forged barrel, a fifteen round capacity magazine and ambidextrous controls. The aluminum alloy frame has a quality black anodized finish. This little spring attached to the magazine follower is part of the EZ's unique Low Shot Indicator. 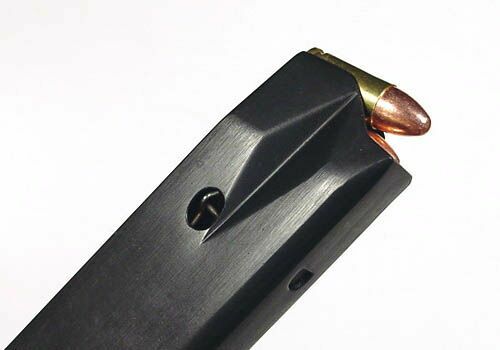 When the magazine is down to its last three rounds, the special spring on the magazine follower protrudes through a hole on the right side of the magazine. The business end of the Low Shot Indicator is a pin inserted through the center of the upper-right grip screw. 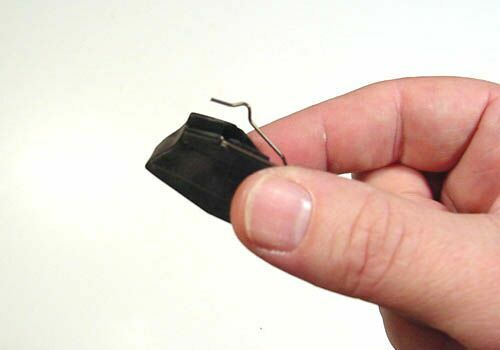 When the magazine follower moves up to the last three rounds in the magazine, a special spring protrudes through a hole in the magazine, pushing this pin out, where it then pokes your hand. The ambidextrous decocking levers are the widest point on the EZ, at just a hair over 1.5 inches. The small loaded-chamber indicator may be hard to see, but it can easily be felt. 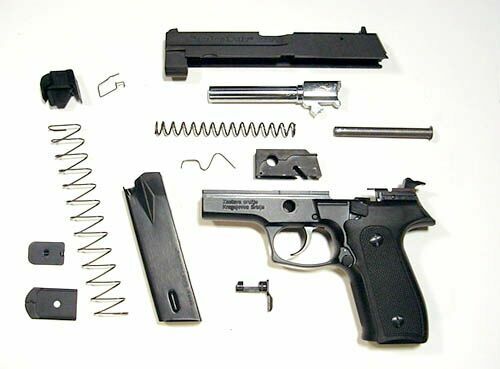 Unlike the external lever-action extractor on the Sig 226, the EZ uses an internal leaf-spring type extractor. At first glance the EZ can be easily mistaken for a Sig 226. Login Register You must be registered and logged in to leave a comment. The security word entered is incorrect. Genitron.com is Now Mobile Ready!